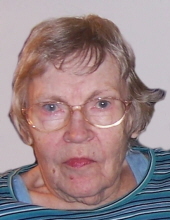 Dorothy Ruth (Yetman) Miller, 87, of Camillus, passed away Thursday, March 28, 2019 at Iroquois Nursing Home. She was born in Old Greenwich, CT to the late George and Lillian (Sheppard) Yetman. Dorothy lived in Watertown, NY, Elkhart, IN, Fort Hood, TX, Phoenix, NY and various places in Central New York before settling in Camillus in 1968. She graduated from Watertown High School in 1950 and earned her associate degree from Alfred Tech. Dorothy was a designer with Davis Florist and enjoyed antiques and collectables. Dorothy was predeceased by her sister, Marjorie Eckel. Surviving are her husband of 64 years, Henry; sons, Mark (Susan) of Camillus and Andrew (Nancy) of Las Vegas, NV; brothers-in-law, Donald Rosser of New Jersey and Howard L. Eckel of Maryland; grandchildren, Adam Miller of Syracuse and Lindsay (Eric) Klaben of Marcellus; and great-grandson, Everett Henry Klaben. Per Dorothy’s wishes, there will be no services. To send flowers or a remembrance gift to the family of Dorothy Ruth (Yetman) Miller, please visit our Tribute Store. "Email Address" would like to share the life celebration of Dorothy Ruth (Yetman) Miller. Click on the "link" to go to share a favorite memory or leave a condolence message for the family.